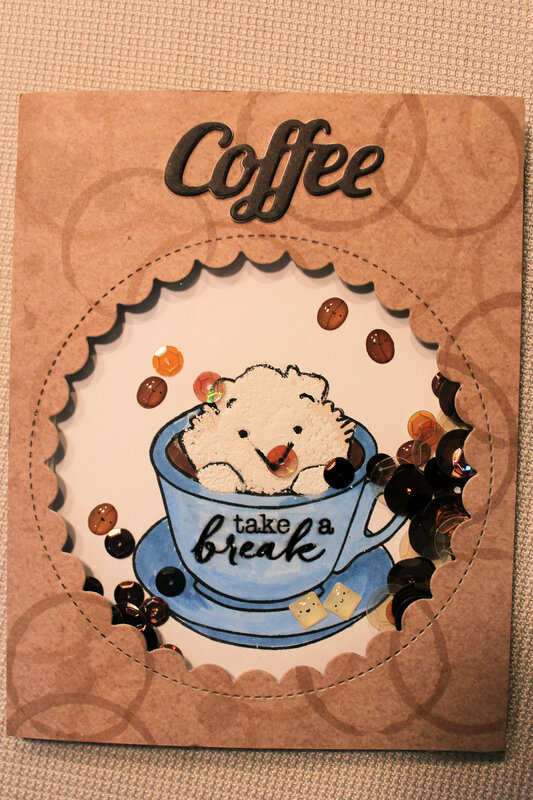 Posted on December 5, 2018, in Card Samples, Challenge Entries, Debbie's Challenge Entries, Oscar's (Deb's) Card Samples and tagged 2018 Fall/winter Coffee Lovers Bloghop, Doodlebug, Hero Arts, Lawn Fawn. Bookmark the permalink. 7 Comments. That is a darling little guy and a great shaker card. Cute shaker card, love that Hero Arts set! Cute shaker and fun image. Such an adoraly sweet card! This is super cute. The sequins are such a great accent. Lovely card with the bear in the cup.